I was fresh off of playing in the 1975 Chicago College All-Star game against the Pittsburgh Steelers. 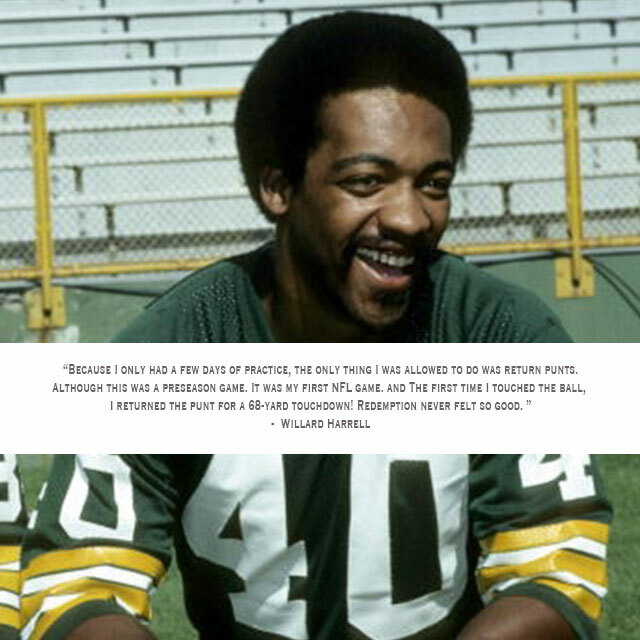 I had just a few days of practice in Packers training camp before we faced O.J. Simpson and the Buffalo Bills. I had a vendetta against O. J. for snubbing me at the 1975 Hula Bowl. Because I only had a few days of practice, the only thing I was allowed to do was return punts. Although this was a preseason game. It was my first NFL game. The first time I touched the ball, I returned the punt for a 68-yard touchdown! Redemption never felt so good.